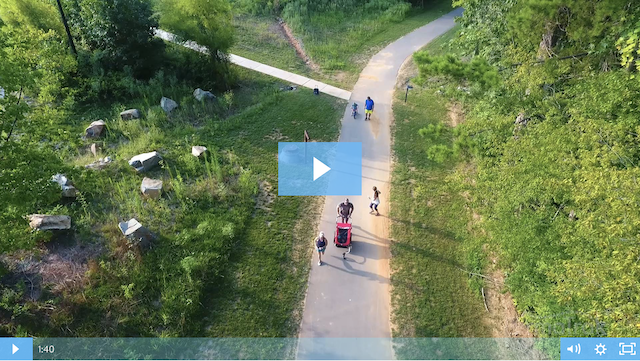 Campbell Creek Greenway is the most recent addition to the McAlpine Greenway network in Charlotte, NC, adding 1.5 miles to the existing trail. Six concrete boardwalk structures were installed throughout the path, crossing utility lines and streams. Designers McKim & Creed and Alta Planning + Design wanted a long-term, cost-effective solution that would have minimal disturbance to the area. As part of the current renovation at Tampa's Julian B. Lane Riverfront Park, PermaTrak has come alongside the city's designers, engineers and developers to design and produce an elevated concrete walkway, which park-goers can use to enjoy the new sites and amenities. Using a PermaTrak precast concrete base component, the 583-foot boardwalk minimizes tree root disturbance while providing a maintenance-free solution for the City. Check out the 2-minute installation video!